You might be wondering why. To be honest it’s more to see whether I can. It will be a bit of a challenge: my greenhouse is unheated and I live in a fairly cold flat with one decent south-facing window. But if it works I could be picking tomatoes so much earlier next year. The variety I’m trying is Crimson Crush. 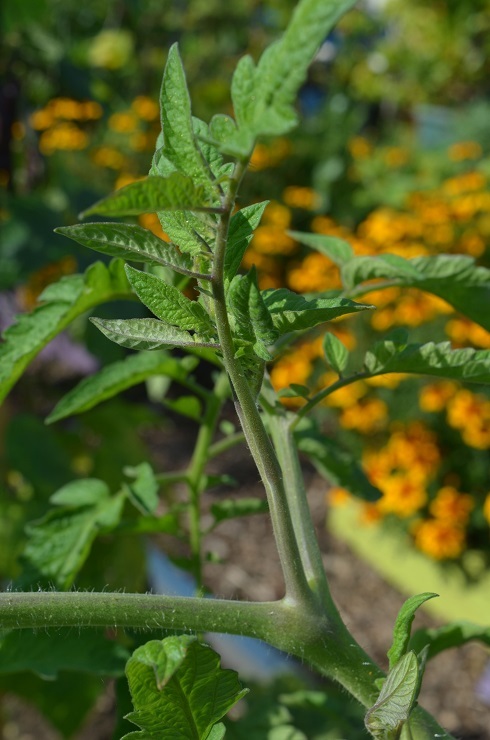 It’s a tasty, hybrid tomato that was launched as blight-proof* with a big fanfare in 2015. Handily I had 2 freebie trial plants from Dobies of Devon, and they’ve done really well against the festering mess of blight on our site. I’m not saving seeds, as given it’s an F1 hybrid the seeds are unlikely to breed true (remember GCSE biology?). Seeds are now available for 2016 but that’s not my point, and ‘sides, I can be a bit of a skinflint. So what do you do? 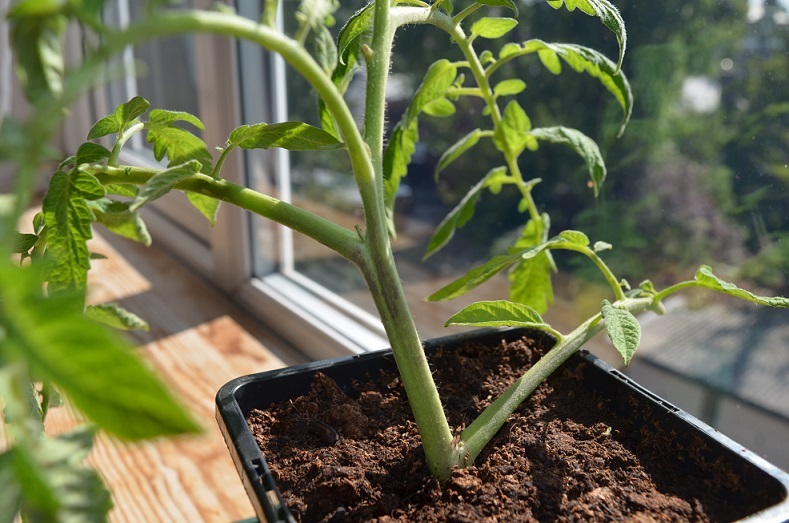 Very simply, you take off sideshoots (the growing points that appear between the leaf and the stem), put them in water and wait a few weeks till they root. Then pot them up and treat as normal plants. As it’s winter the sun will be fairly weak. To combat low light levels each plant will have a shiny tin-foil collar, to reflect and maximise sunlight coming in through the window. It’s stating the obvious, but it will also be cold. Tomatoes don’t like cold. Their leaves develop a purple tinge and they go into a prolonged sulk if temperatures fall below 10C. While the plants will be living on/near the windowsill in the daytime, at night I will have to move them (or they will get too cold) and put them out of range of stumbling feet. BUT despite all the pampering they will get, they aren’t being grown for next year’s tomatoes. Instead, they will be used as stock plants to make more sideshoots early next year. Those will be the ones growing tomatoes. As clones of the original plant, they will still have the same blight resistance and form the same tomatoes. And will have cost me pennies. So that’s it in theory. As an additional challenge, I now think they are all carrying a touch of blight and I will need to keep an eye on how that progresses. If the resistance works the same way as for Sarpo Mira potatoes, the plants should be able to block blight, ie the leaves and stems might show signs of infection, but the plant stops blight advancing further or making spores, which in turn stops it spreading. The last thing I want is to infect all my resistance-free tomatoes and potatoes in the New Year. I’ll let you know how I get on – wish me luck! *Blight is a fungus-like disease affecting tomatoes and potatoes particularly badly. It needs humidity and a minimum temperature to activate, and it can spread incredibly quickly. Amateur growers like me really have nothing much to fight it with and infected plants have to be destroyed/burned/removed quickly.